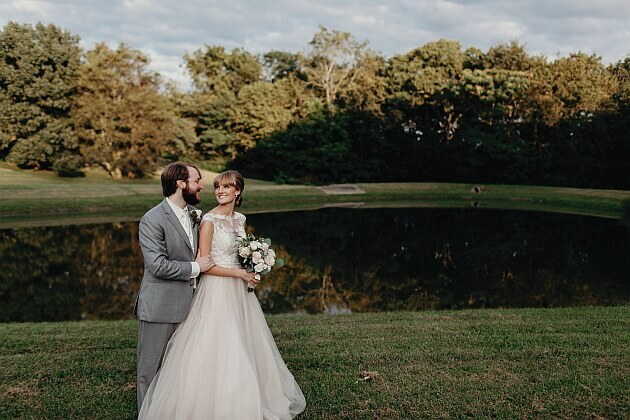 HOW WE MET: We first met at a campus church group at the University of Tennessee. Ben sat down beside me and introduced himself. We have been at each other’s side ever since. OUR MOST MEMORABLE MOMENT: Our big day was like a fairy tale to us. It was a beautiful day full of love and sunshine. After a lovely traditional church ceremony we danced the night away at the Vanderbilt Legends Club. Our plans for the honeymoon and pictures could not prepare us for the beauty of the Oregon Coast. We spent our days hiking trails along the coastline, eating wonderful seafood, and taking in the views. Everything came together perfectly, we could not have been any happier.